The overnight fire destroyed the 200,000 square feet building where over 100 people worked. FRESNO, Calif. (KFSN) -- The blaze broke out around 2:30 a.m. and multiple agencies were called in to assist as it kept growing. Hours after it started, firefighters continued to work to get it fully contained and firefighters from 11 different departments responded to it, facing numerous challenges -- one being the materials inside the plant. "We had a lot of cardboard and wood pallets that were burning," Sanger Fire Chief Greg Tarascou said. "We had some gas let off as well as propane tanks and ammonium tanks." Wind change also presented some obstacles as well. "It did play a part where we put our equipment however we were able to keep the fire within the building and not extend exposure to the north or the east," Tarascou said. An employee on scene said about 80 to 90 percent of the business is gone. The fire started near the railroad tracks, spread to the factory area and moved into the warehouse. There's also a second building south of the factory that's affected, but the main concern has been keeping it away from the office building. City fire departments from Sanger, Clovis and Fresno along with Cal Fire have responded to the fire. PG&E says 80 customers near the plant were without power for some time. Initiative foods started back in 2002. The company employs more than 120 people and is currently one of the largest baby food producers in the country. A production manager said they will execute a business continuity plan on Monday when they meet with employees to discuss the next steps. 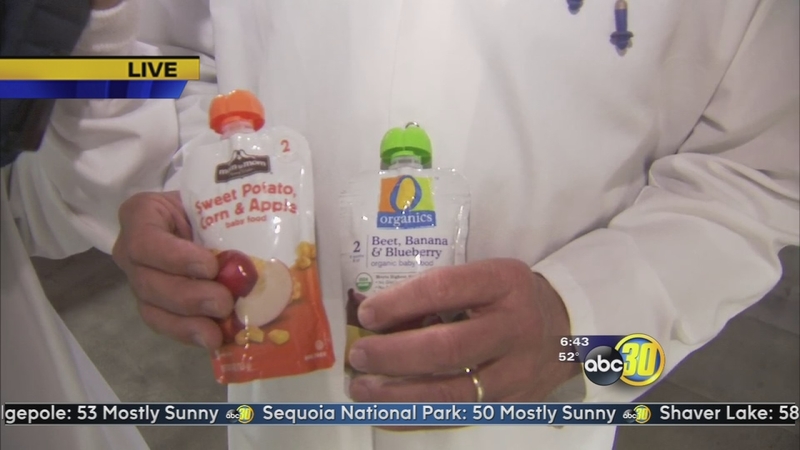 A Sanger business is one of the largest baby food producers in the country. All nearby city fire departments -- including Clovis, Madera, Tulare, Fresno and Cal Fire have responded to the blaze.